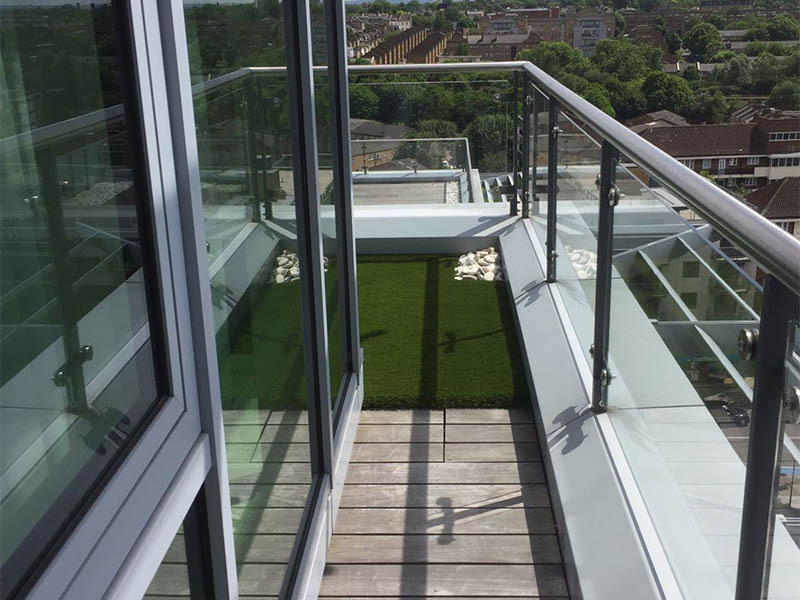 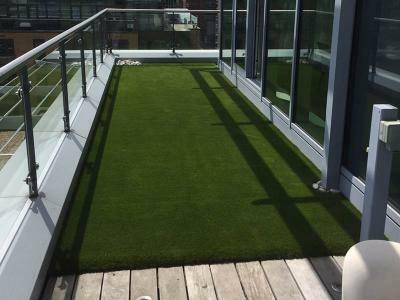 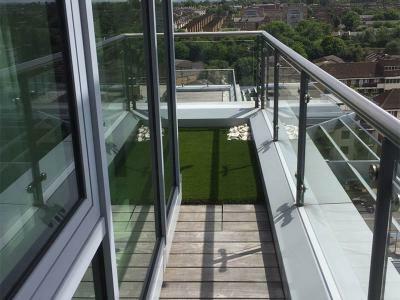 Artificial grass is proving ever more popular these days, specifically for gardens, and on terraces and balconies. 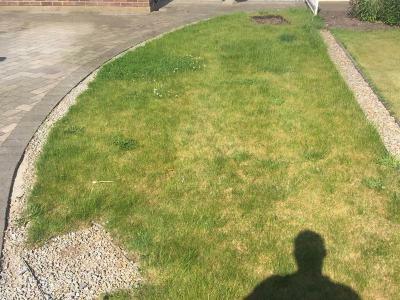 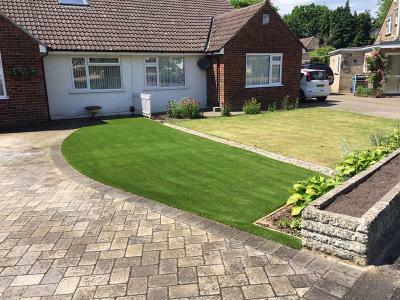 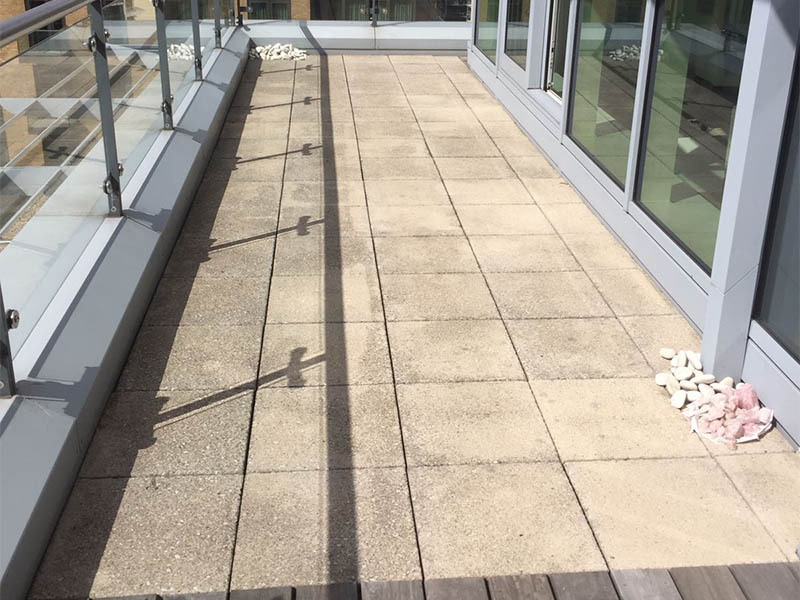 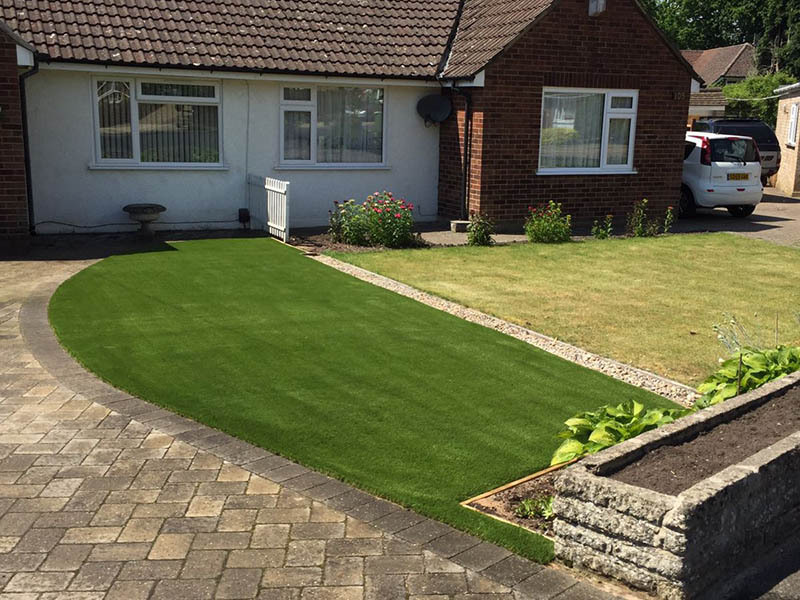 Its main advantage is its fresh appearance all year round with minimal maintenance. 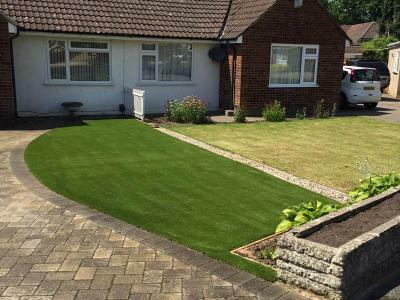 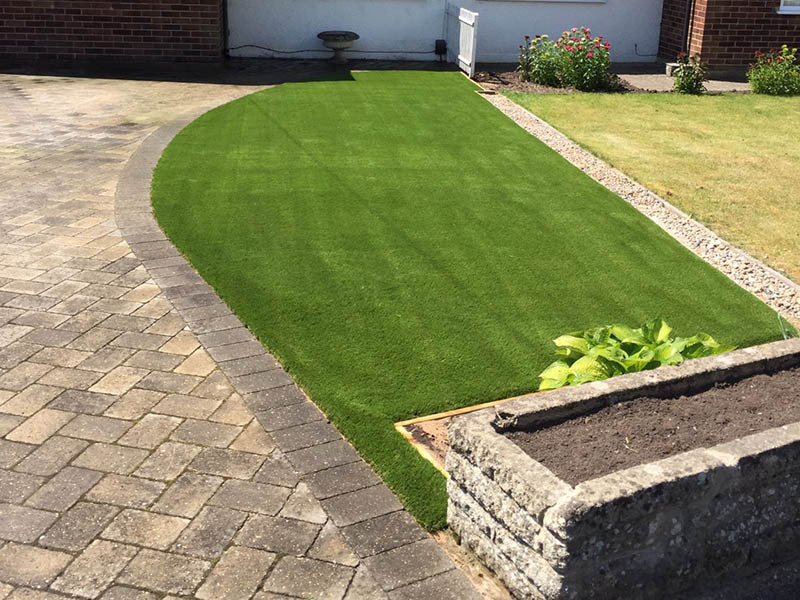 Recent developments and technology have also made it increasingly more difficult to determine whether the lawn you are standing on is actually fake grass or natural! So, it should come as no surprise that artificial lawns are in high demand. 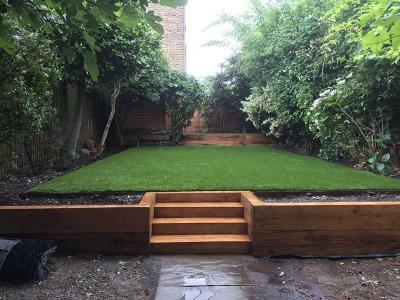 With our busy life-styles we are always looking for ways to give us more free time to actually enjoy our gardens. 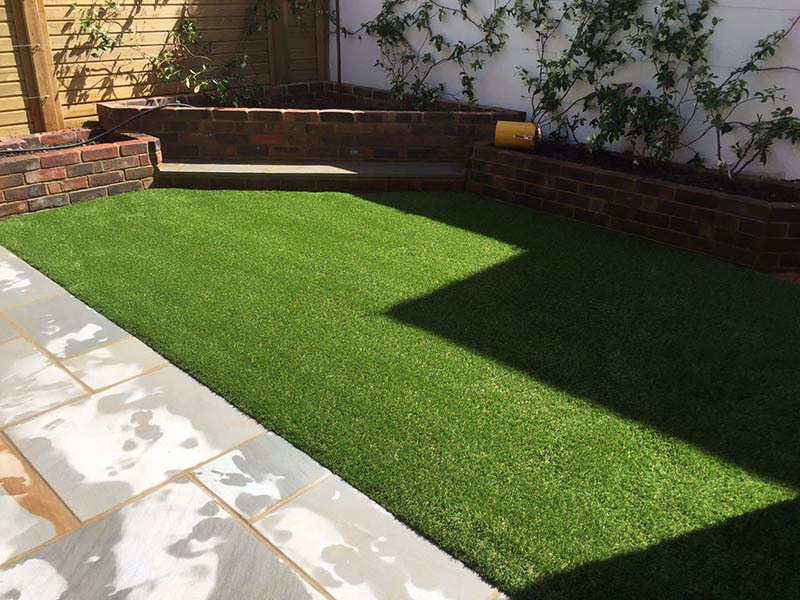 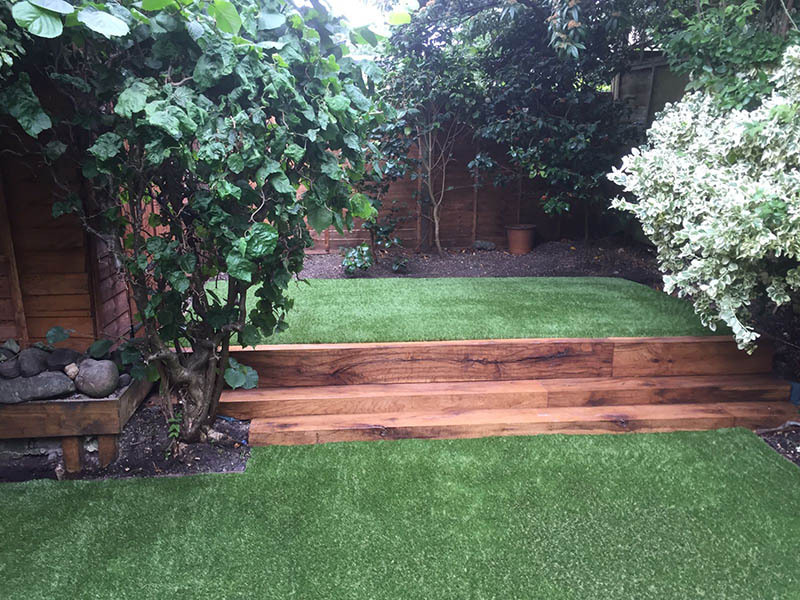 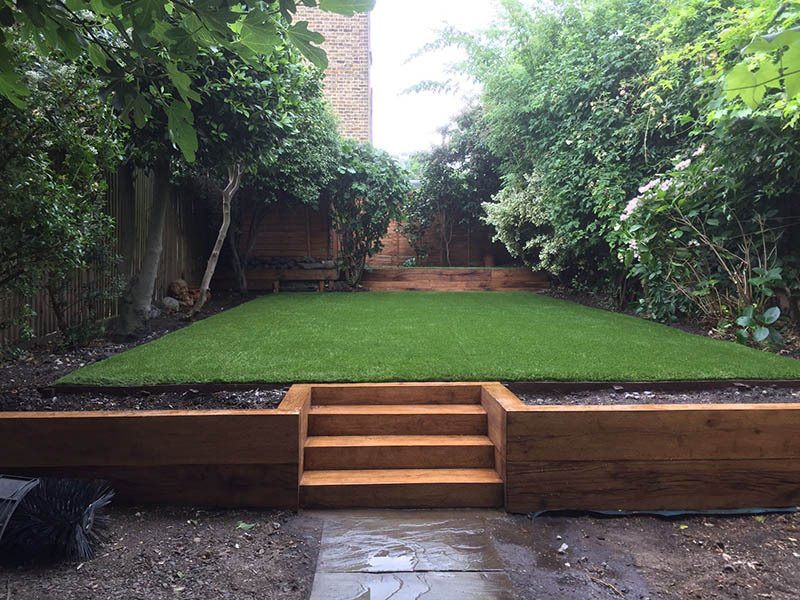 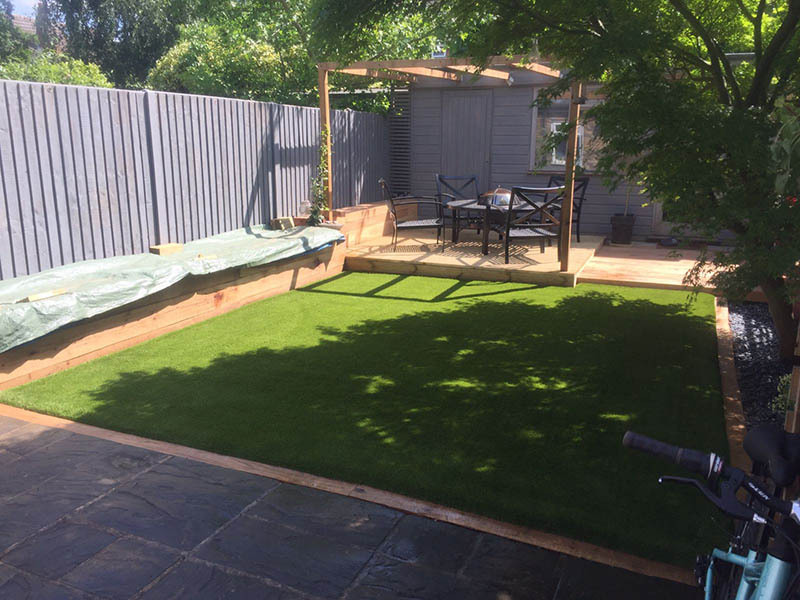 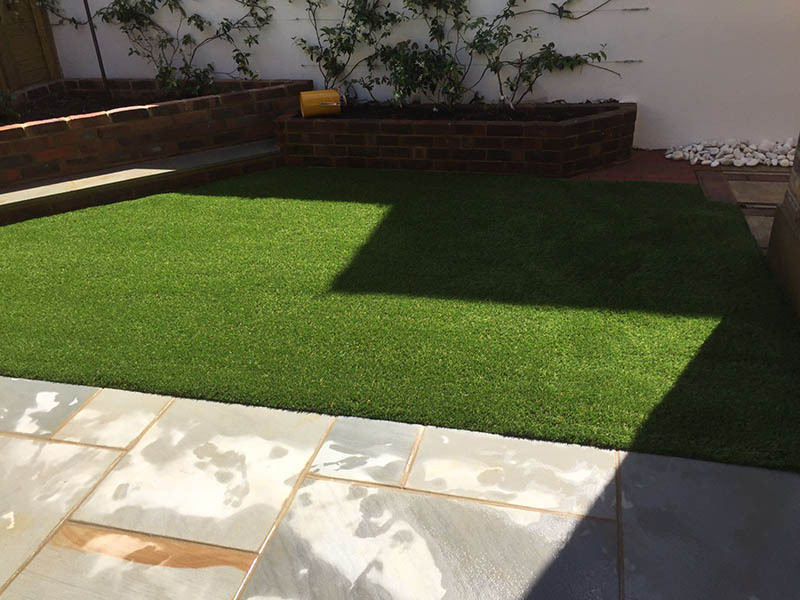 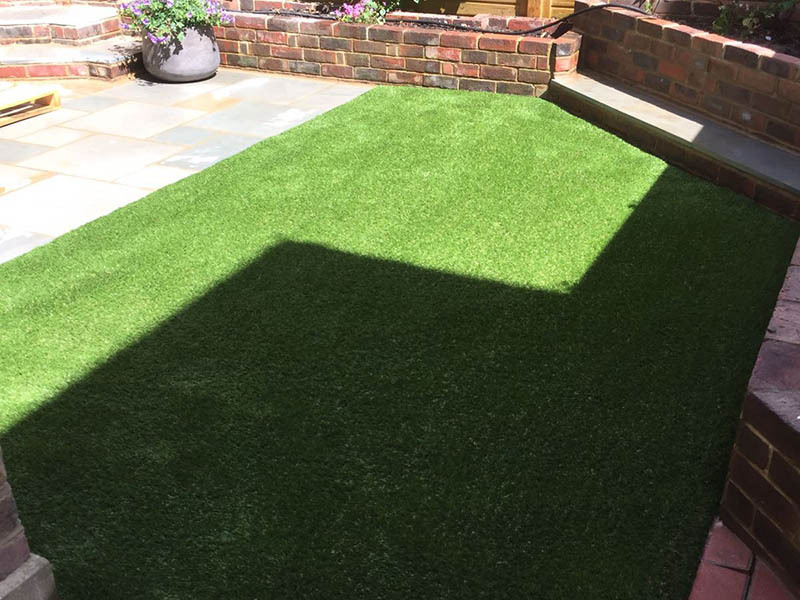 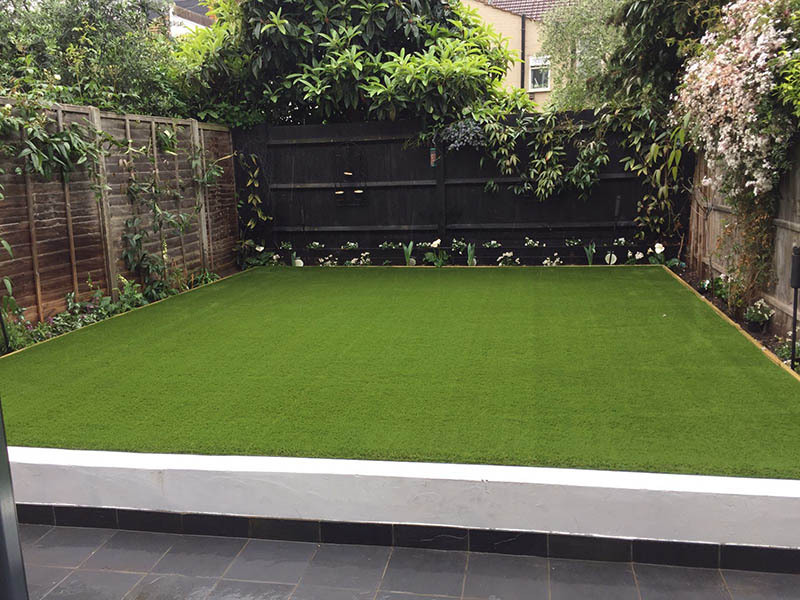 If you are considering artificial grass as an option for your garden, we would be very happy to assist you in making the right choice. 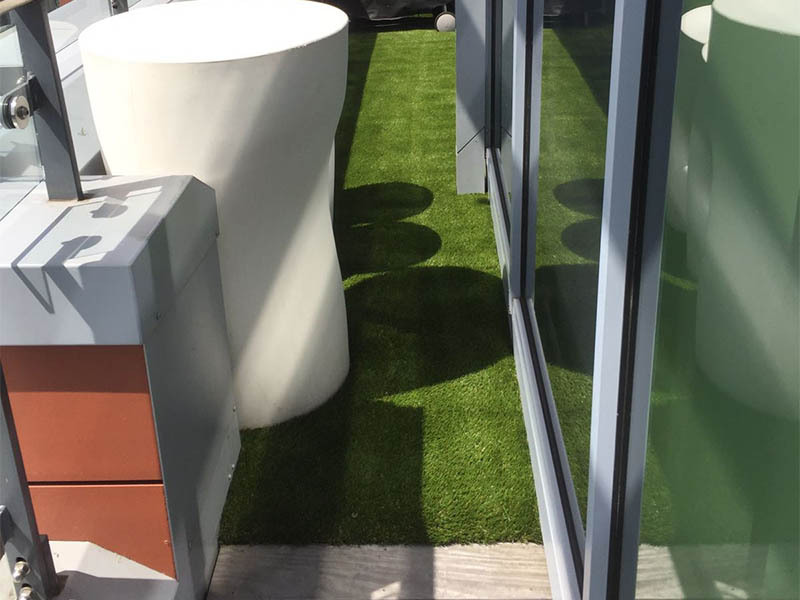 We offer a full design service, in addition we can recommend, supply and professionally install premium artificial grasses that are perfect for gardens, patios, balconies, pool sides, play areas, sports fields, putting greens. 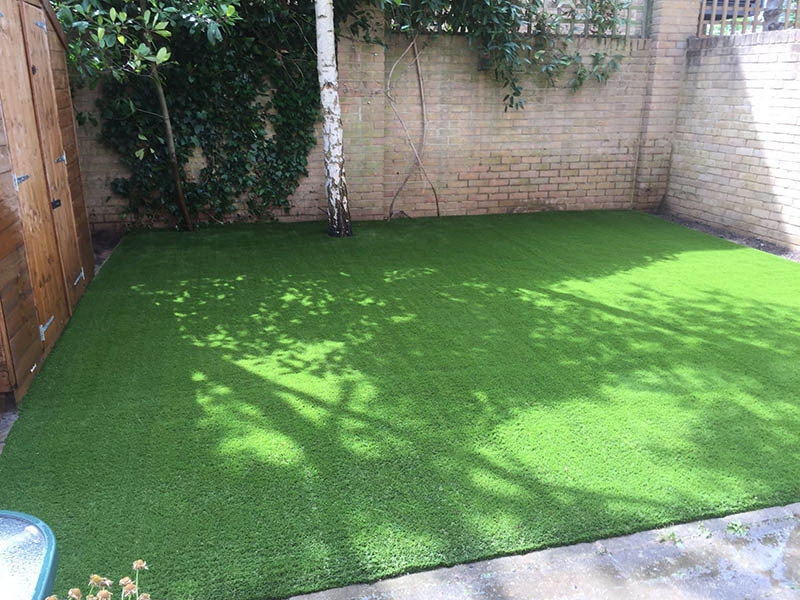 With such a diverse range of uses, artificial grass is excellent both residentially and commercially. 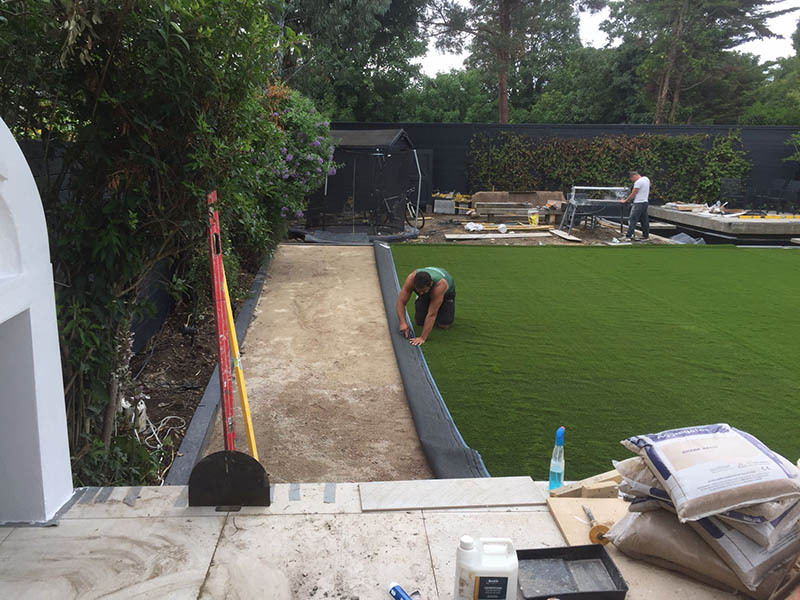 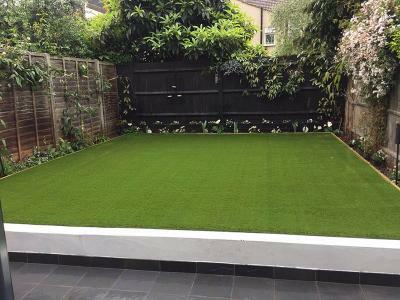 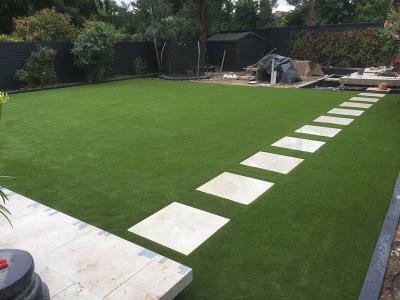 We have years of experience and are experts in the installation of artificial grass. There is no project too small or too large. 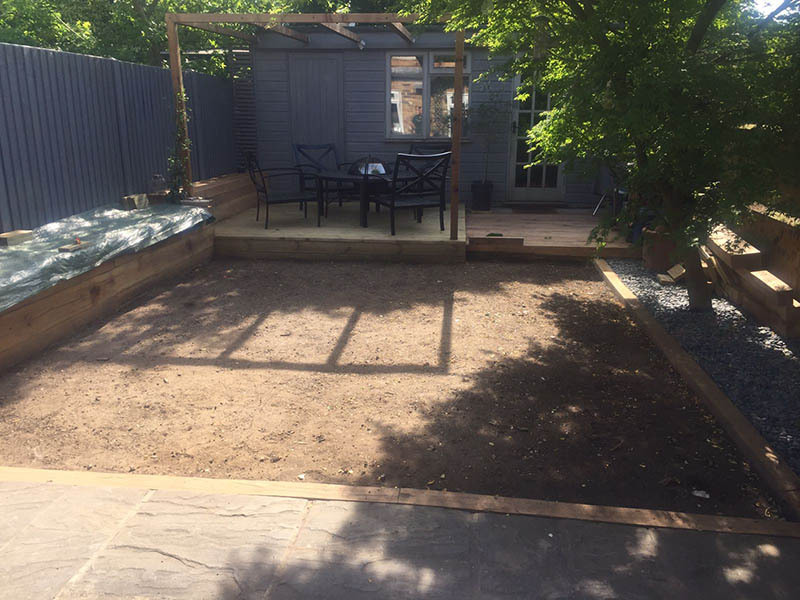 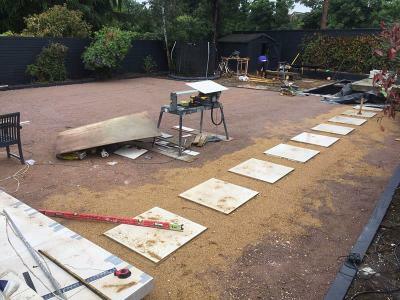 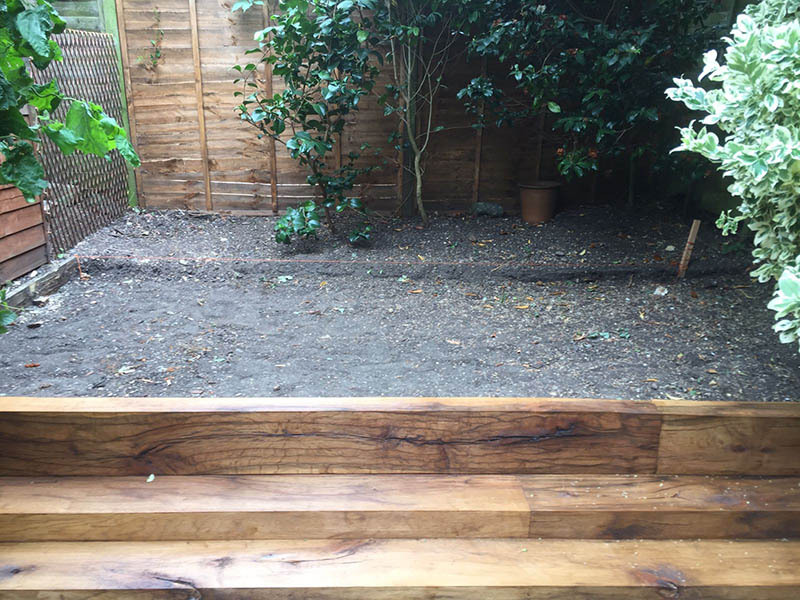 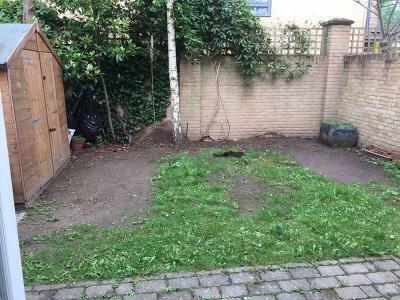 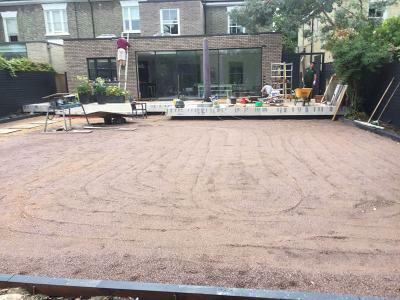 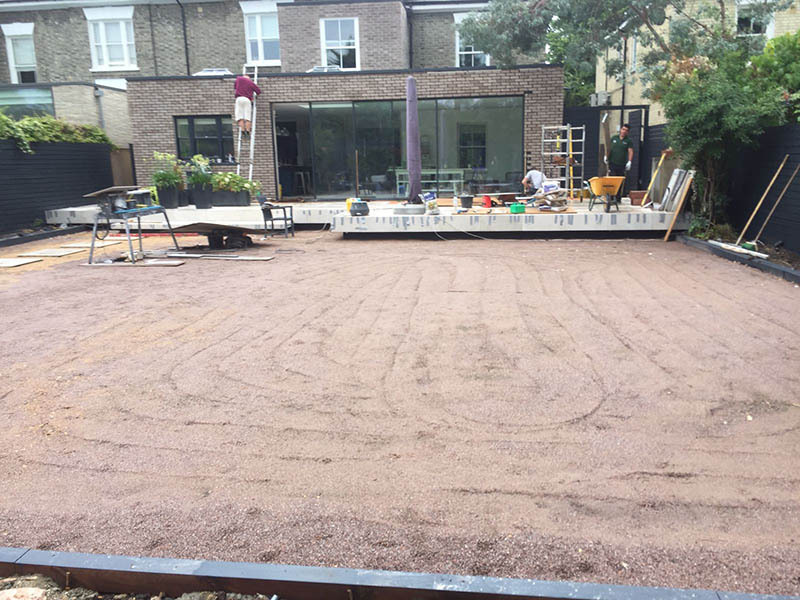 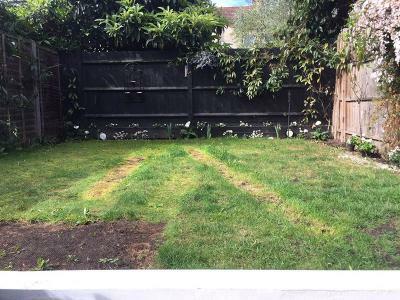 We can successfully transform any space into a green oasis around London and Surrey. 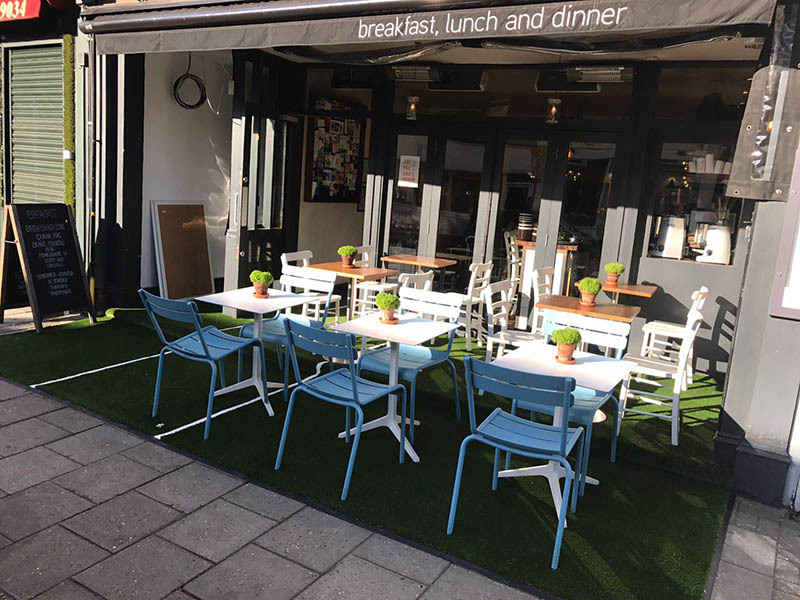 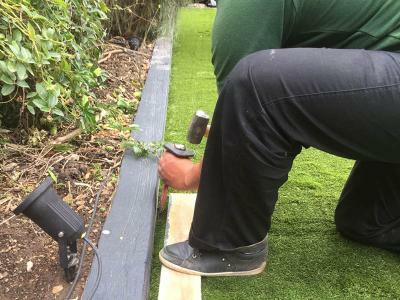 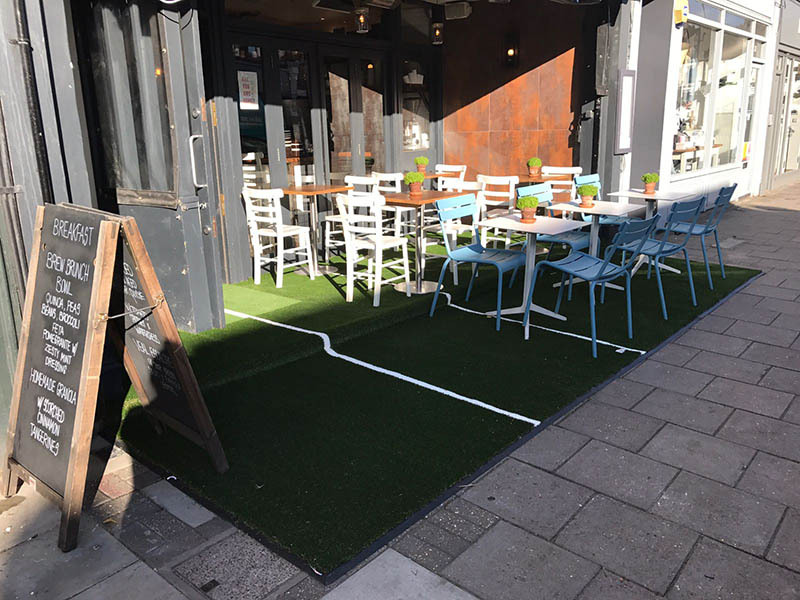 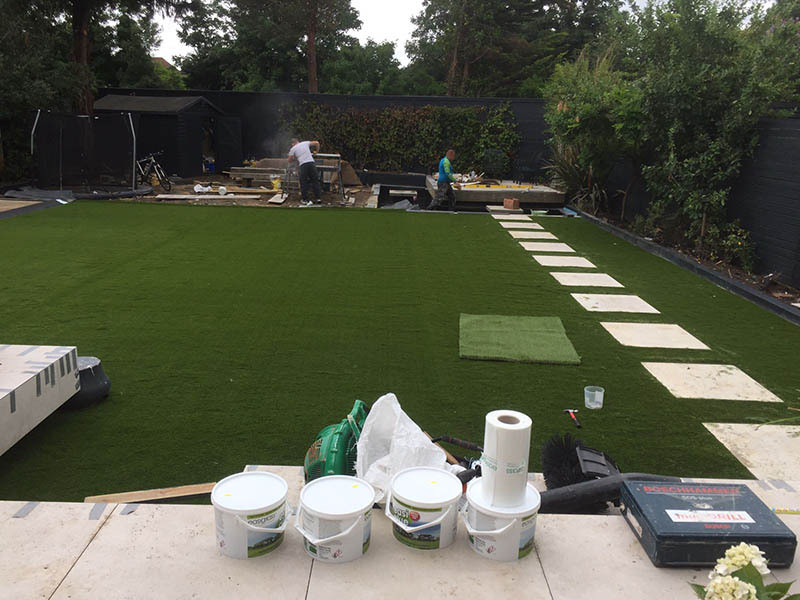 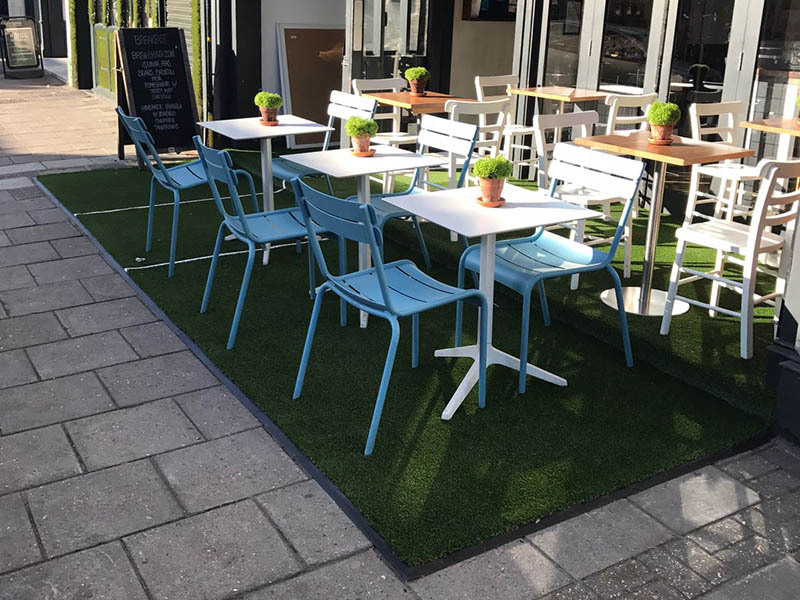 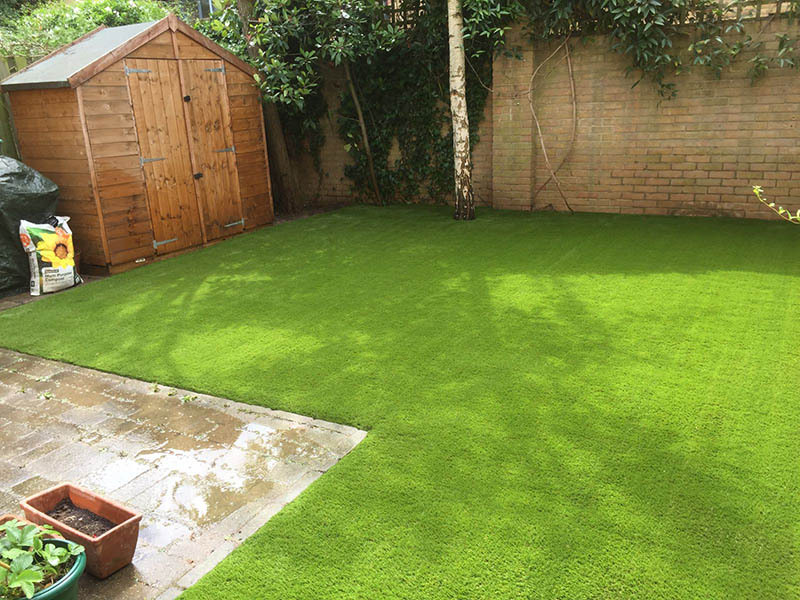 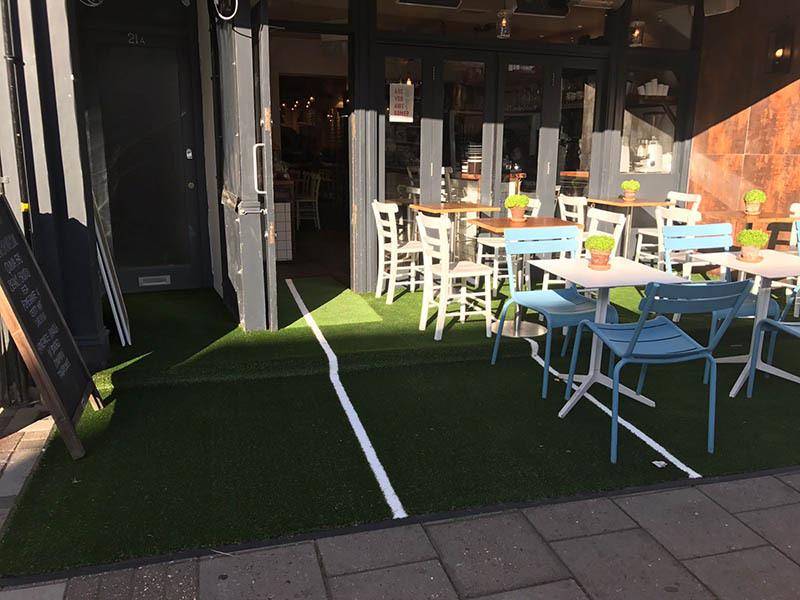 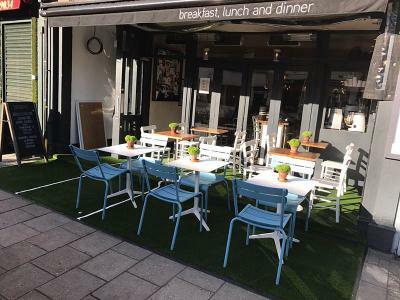 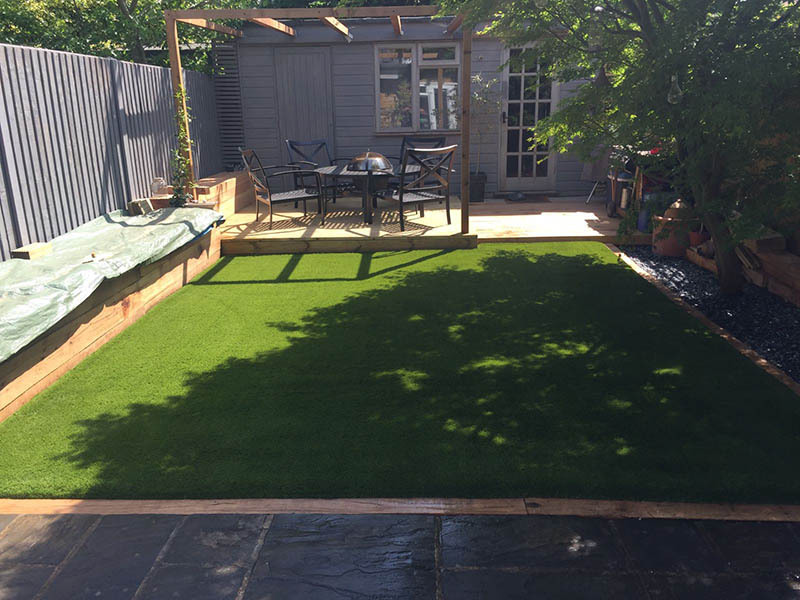 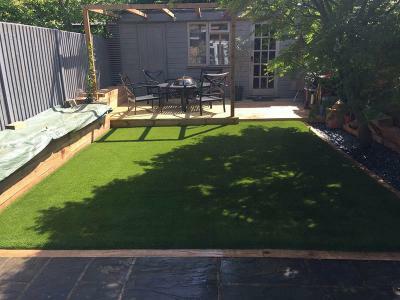 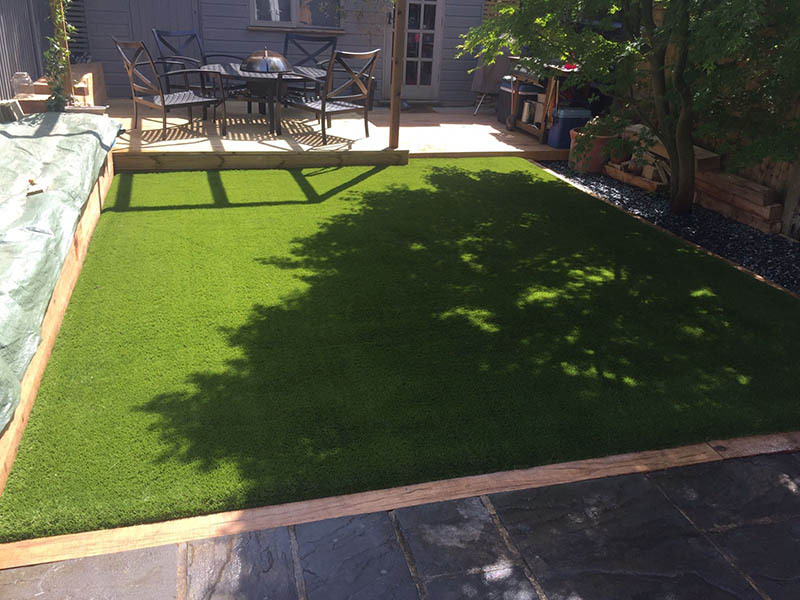 Having established a great relationship with the best artificial grass suppliers in the business, we are able to offer the highest level of service, with the best products that come with an 8-year warranty. If you are thinking of making the change – let us help you create a useful mud free green space that can be enjoyed all year round.